David Walker, Head of Property at Hyperoptic, takes us through a typical day at work. I wake up in ‘the project,’ which is the pet name for my flat in Notting Hill, currently being subjected to extension and refurbishment. The first priority is a strong black coffee and I am quickly on my regular walking commute to my company headquarters, which are close to Hammersmith station. 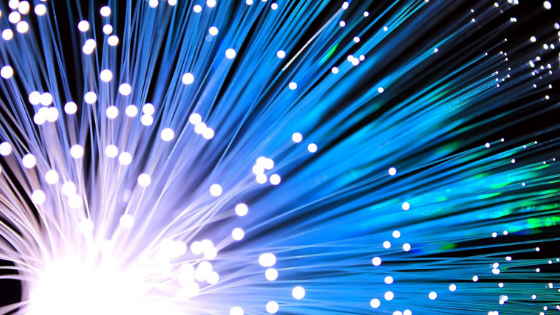 Hyperoptic is the UK’s largest gigabit broadband provider and delivers the country’s fastest broadband speeds, of up to 1Gbps (1,000 megabits per second), which is at least 20 times faster than the UK average. We work with property owners, developers and professionals, designing and installing our dedicated fibre infrastructure to new buildings and existing developments. We work with 150+ developers and are a trusted partner of many housing providers, including A2Dominion, Hyde Group, Catalyst, Genesis Housing and Notting Hill Housing Trust. We’re also working with 50 councils across the UK to supply connectivity to their social housing stock. During my 25-minute walk, I always keep an eye out for new hoardings and cranes along the way. It’s always good to get in early so spotting a new development can become a good opportunity for my sales colleagues. I am in the office by 9am and I head straight to the coffee counter at the local WeWork office, which is next to my company headquarters. The sales and marketing team have recently relocated here as we’ve outgrown the office space next door. Once I have had my second caffeine fix, I plug in my laptop at one of the hot-desks and quickly scan my emails, being sure to highlight any urgent enquiries or client/team support that needs addressing. My first meeting is with our new chief technology and information officer, Pascal Koster. He is part of a new executive team, which our CEO appointed to ensure that we are all well supported as the company grows. The meeting went well – Pascal was particularly impressed with the smart home projects we’re working on and the future-proofing that we can enable for clients in the 5G arena for new builds and regeneration areas. I then head out for a light lunch with a key developer client of mine. We’ve been working together for over three years and have built an excellent relationship. He offers some insights into both the UK and Spanish markets where he is active. The conversation is on a wide range of topics from Led Zeppelin and schooling through to an Openreach deployment of new ducting infrastructure and the opportunities arising from Brexit. He is genuinely excited by the dampening of market sentiment and the prospect of securing more sites to feed his business. The penny has finally dropped for developers; they simply can’t build units without day-one connectivity and still maintain customer satisfaction. Developers want to protect their five-star ratings for customer satisfaction, and if a customer has broadband straight away they’re less likely to go around looking at any scuff marks on ceilings or squeaky hinges. We’re the only broadband provider in the country that measures itself on day-one connectivity; we have achieved over 96 per cent success over the last three years. After my meeting with Pascal, I head to a new client meeting in the City. It looks good – there are three new projects which, although relatively small, can offer Hyperoptic an opportunity to work with a new AV consultant and a world-class architect, in particular because we thrive on expanding our knowledge of the day-two systems (i.e. what gets connected onto our infrastructure). The ‘proptech’ market has changed hugely since we started in 2011 – most people now understand the language of ‘smart buildings’ and ‘smart homes’. The pace of technology continues unabated and at the heart is our new infrastructure, which will serve it in its many future guises. I am seeing developers, owners and managers to find some new and cutting-edge integrated systems and apps that have the power to revolutionise lives, such as remote monitoring for dementia patients. I head back to the office for the regular weekly sales and marketing meeting. There is exciting news for the planning of the next financial year with more team members, more marketing and the hybrid vigour that three new board members are already bringing to the Hyperoptic brand. 2018 was a very busy year and we grew massively. We now power over half a million homes and businesses across the UK with our full-fibre service, and we are on track to pass two million homes by 2021. Over 160,000 social housing properties have access, or are about to be connected, to our full-fibre network. David Walker is Head of Property at Hyperoptic. If you'd like to share your housing sector experience, all you need to do is get in touch at recruitment@housing-technology.com.